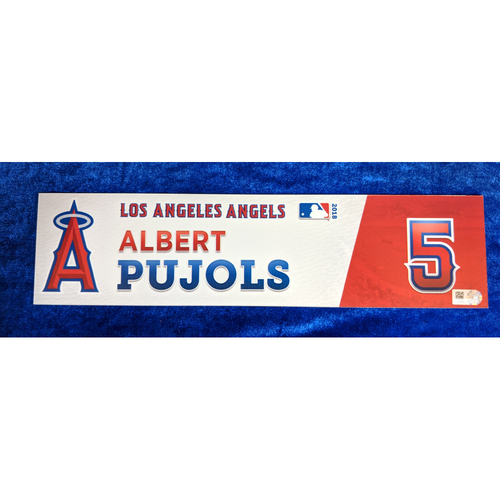 This Locker Tag was custom made for Los Angeles Angels 1st Baseman and Designated Hitter Albert Pujols for the 2018 Season. This locker tag was pulled after June 2nd 2018 game against the Texas Rangers. In 2018 Pujols would bat for an average of .245 with 19 Home runs and 64 runs batted in. This Locker Tag measures 12"x3"